At Valentine Travel Solutions we are proud that we were one of the first firms in Wrexham to supply wheelchair accessible vehicles for our customers. 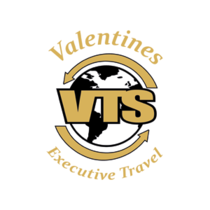 At Valentine Travel Solutions we are proud that we were one of the first companies in Wrexham to supply wheelchair accessible vehicles for our customers. Our wheelchair accessible vehicle drivers have undergone intensive training in the correct method of securing wheelchairs using the straps and restraints all of our wheelchair accessible vehicles carry, our vehicles use either wheelchair ramps or electric lifts to assist customers into and out of the vehicles with the help of our drivers, where the driver then secures the wheelchair before setting off. At any one time we are able to offer transportation to a single wheelchair passenger and up to seven walking passengers or a maximum of four wheelchairs and four walking passengers, or any combination in between. If you want to book a wheelchair accessible vehicle, call us, no job is too big or too small.